From the current Venice Biennale to a stunningly renovated warehouse in West Town, Chicago, public artist Jaume Plensa will again be creating local excitement with portraiture in huge proportions. Works by the Spanish artist span the globe, yet nearer to home millions have paused to watch the Crown Fountain in Millennium Park since its installation in 2004. On September 14, the Gray Gallery on Carroll Street will premiere his exhibition Secret Garden. The 5,000-square-foot warehouse space can amply display Plensa’s works in wood, alabaster, bronze and, for the first time, stainless steel—all with an emphasis on luminosity and serenity. 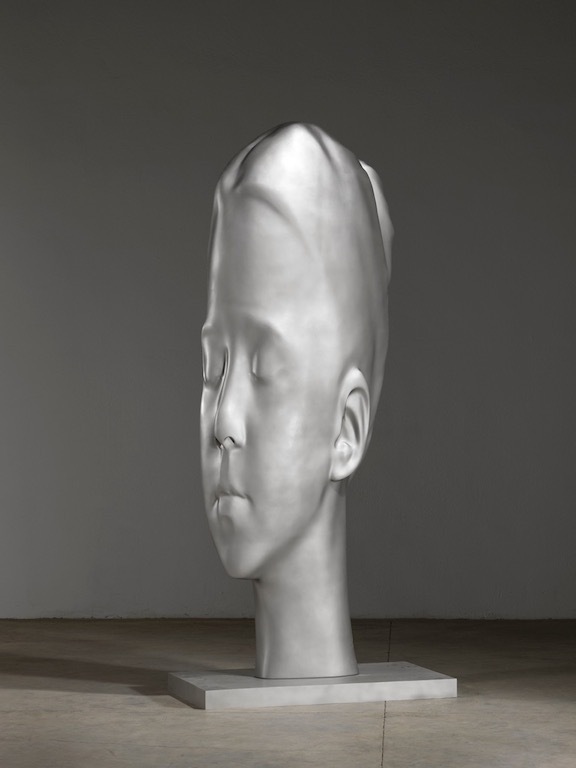 Isabella (2016) by Jaume Plensa. Courtesy the artist and Richard Gray Gallery. Image by Gasull Fotografia. “Jaume Plensa is a profound thinker—an artist we have worked closely with for over 25 years, holding one of his first shows in the US in 1994 and subsequently placing his work in collections all over the world. “Although the Crown Fountain is certainly not his first work to transform people’s experience of the public space, it is one of the world’s most talked about. He enjoys the challenge of this type of work but along with it comes expectations of collaboration with patrons, architects, curators, and, most importantly, the responsibility that he is impinging on space that belongs to the public—imposing his ideas and his materials on them without even having been asked by most who will encounter his works. Paul Gray. Courtesy Richard Gray Gallery. Image by Jim Krantz. 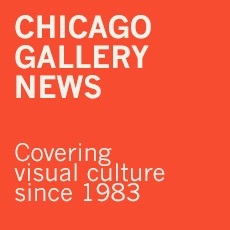 “For over 50 years, the Richard Gray Gallery has been preeminent in modern and contemporary art not merely in Chicago but internationally as well. Mary and Richard Gray. Courtesy Richard Gray Gallery. Image by Dan Dry. “My father started the gallery almost on a lark, after a series of late night conversations with a sculptor friend in the fall of 1963. 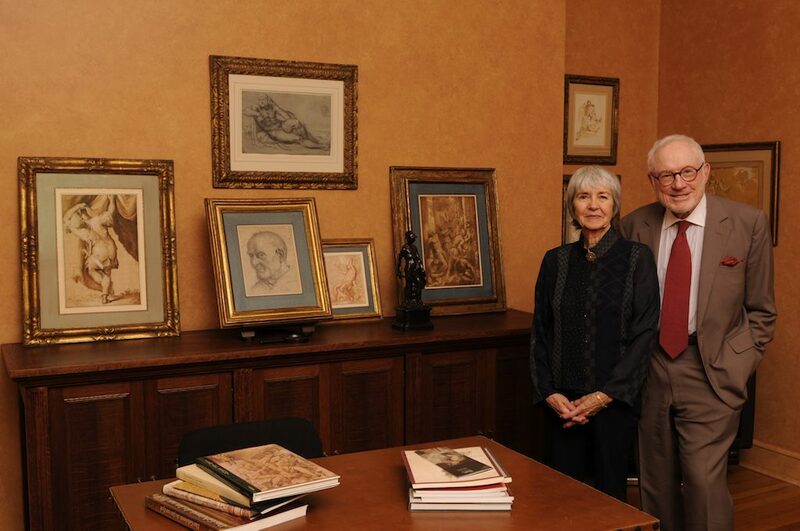 He’d been casually interested in art even in college and during European travels when he served abroad in the Air Force, but it was walking into my mother’s family’s apartment on Stratford Place on their first date, around 1952, that he had his first real experience with collectors. “Unlike his own family, my mother’s living room contained paintings and sculpture by Miró, Pollock, and Kandinsky, among others, as well as not one, but two, grand pianos. It was compelling. “Introductions over the next ten years to people like Joseph and Jory Shapiro, Ruth and Leonard Horwich, Lindy and Ed Bergman, and other now legendary cultural leaders slowly led him to that first small gallery space on East Ontario Street. 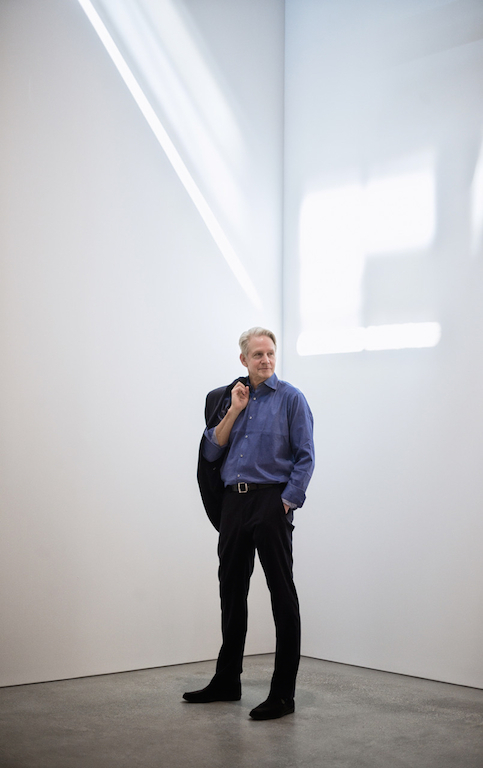 We sat down with Gray to inquire a little more about the gallery’s storied past, its future, and its role in the contemporary art scene in Chicago. How did the Richard Gray Gallery grow? What are your dreams for the Warehouse? Richard Gray Gallery is growing and evolving. We have had a gallery in New York for 20 years now. Gray Warehouse opened earlier this year, but that’s just real estate. The most important part of our growth is in our people, for it is people, including the artists, who will chart our future. Increasingly, gallery partners Andrew Fabicant and Valerie Carberry, gallery directors (we now have five), and other dedicated professionals who have chosen to invest their talents with us are making the decisions. They will be doing the dreaming. 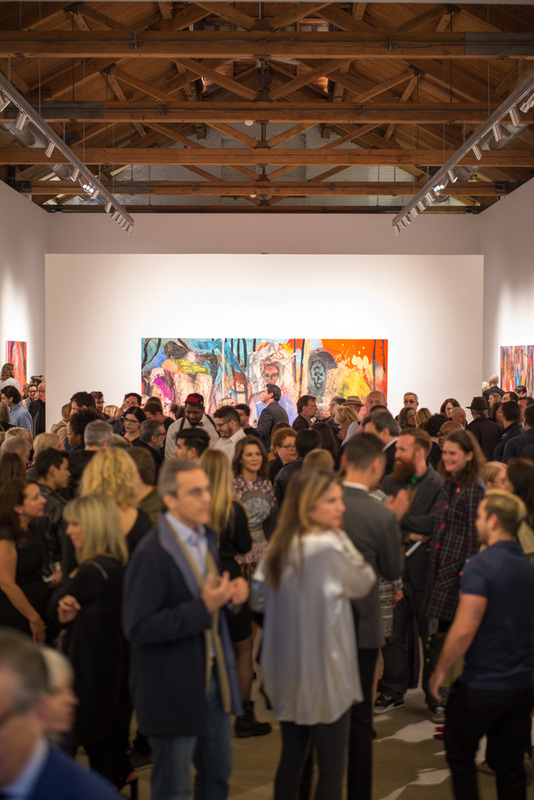 Opening night of Jim Dine: Looking at the Present at Gray Warehouse. Courtesy Richard Gray Gallery. Image by Tom Rossiter. How would you describe art collectors in Chicago? 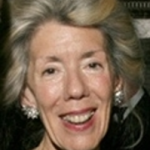 Chicago’s collectors, like those we encounter elsewhere, are dedicated and deeply committed in their support. They bring their confidence, intuition, desire, anxiety, spontaneity, and a kind of intelligent doubt to the larger conversation. It’s a lively and healthy community. Jaume Plensa’s Secret Garden runs September 14 through November 11 at the Gray Warehoouse, 2044 West Carroll Street. On September 15 at 10:30 am, Plensa and curator Brooke Kamin Rapaport will lead a walkthrough of the exhibition and answer questions. Another exhibition of his works titled One Thought Fills Immensity, runs concurrently at the Gray Gallery, 875 North Michigan Avenue. This entry was posted in Guest Stars on August 20, 2017 by Kay Whitfield.